Home » U.S News » Who is Brad's wife? SAN ANTONIO - Here’s what we know: Brad’s wife was fired. Apparently, she was let go after 11 years of employment at Cracker Barrel. According to a post on the Cracker Barrel Facebook page by someone named Bradley Reid Byrd, his wife was fired, and on his birthday no less. And now the Internet is screaming for #JusticeForBradsWife. What we don’t know is WHY Brad’s wife, Nanette, was fired. While thousands of people have gone to Cracker Barrel’s Facebook page to ask that very question, Cracker Barrel hasn’t responded. Now the Internet is swarming with memes. People are “trolling” every post on Cracker Barrel’s Facebook page. Meanwhile Byrd continues to post updates on his Facebook page. His latest one urges people to take their questions and comments to Cracker Barrel’s home office, not their local Cracker Barrel restaurants. Bradley Reid had one simple question: Why did you fire my wife? But he decided to ask her employer in an extremely public way — on Cracker Barrel‘s corporate Facebook page. He still doesn’t have an answer as to why his wife, Nanette, lost the retail-manager job she held in an Indiana Cracker Barrel for 11 years. But he does have an army of wisecracking trolls behind him. Once Internet pranksters caught wind of Reid’s inquiry, they flooded the Cracker Barrel page with comments about “Brad’s Wife,” the Internet’s new favorite meme. Pity the poor social-media manager behind the scenes, desperately trying to regain control by posting videos of mixed-berry pancakes. It started on Feb. 27, when Reid posted on his personal Facebook page that Cracker Barrel had let his wife go, and posted the name of the woman who allegedly fired her. “I would really like to know why and those of you who know me these days, know that I WILL find out. In the mean time, if any of you would like to know also, please go to their Facebook page and ask them. I would really appreciate it,” he wrote. A few more posts with complaints about the company and the circumstances of Nanette’s firing followed. Then, on Tuesday, Reid posted his question on the Cracker Barrel page and comedian Amiri King posted the exchange on Twitter, according to People Magazine. “We demand answers for Brad and his wife,” one Cracker Barrel follower posted. The hashtag #JusticeforBradsWife was born. The memes began. The worst day of the Cracker Barrel social-media manager’s life began then, too. Who is Brad's wife and why does the internet care so much that she got fired? It started as one man's dispute with the restaurant that apparently fired his wife from her job. But now the plight of 'Brad's wife' has become the latest internet sensation. A popular American restaurant chain Cracker Barrel has found itself inundated with questions on the topic via its various social media channels. The hashtag 'JusticeForBradsWife' has trended across the US and sparked numerous memes. At the end of February, a man called Bradley Reid took to Facebook to vent about an apparent injustice. His wife Nanette was allegedly let go from the job at a branch of Cracker Barrel in Indiana she had been doing for 11 years. Brad claimed the company said it "wasn't working out" despite her long service. His requests for more explanation had been unsuccessful, Brad claimed, and he was considering legal action. But in the meantime, Brad urged his friends to write on Cracker Barrel's Facebook page and ask them why Nanette was fired. "I would really like to know why and those of you who know me these days, know that I WILL find out.
" In the mean time, if any of you would like to know also, please go to their Facebook page and ask them. I would really appreciate it,” he wrote. Someone edited Cracker Barrel's Wikipedia page so that the number of employees read '70,000 minus Brad's wife'. And, inevitably, a parody account 'realBradswife' appeared. 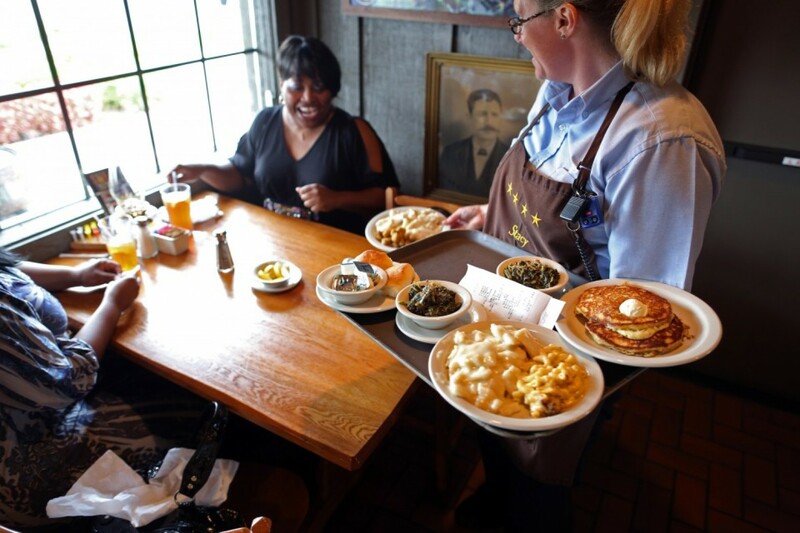 So far, Cracker Barrel has declined numerous requests for comment from news outlets in the US. And Brad himself says he still has no answers. But he urged restraint from the internet. He wrote on Friday: "Good morning. I would like to repeat that your local restaurant/store had nothing, and I repeat. NOTHING to do with this. Please send all of your questions/comments to the home office. They are the ones who can answer them............................................................or NOT!" So it appears the mystery continues, as do the jokes. Until the internet finds something else strange to get excited about. 0 Response to "Who is Brad's wife?"